Anthony Mason Chambers began in 1993 with just David Wicks QC, Paul Heywood-Smith, and Tom Birchall in its former life as Divett Chambers. Divett Chambers was at Divett Place east of its current position in Victoria Square. Edward Divett MP was the Chairperson of Directors of the South Australia Company, incorporated by Act of the UK Parliament in 1835. Divett Place and the Mews building where Divett Chambers was situated were both named after him. Divett Chambers slowly increased in size to 7 members by 2006 when it shifted to its current location. It was a matter of pride to Divett Chambers when David Wicks QC was commissioned a justice of the Supreme Court of SA. in 1998. When it came to leave Divett Place in 2006 a name change was considered appropriate and Sir Anthony Mason kindly consented to allow his name to be used for the new premises at 201 Victoria Square. Sir Anthony was the Chief Justice of the High Court of Australia for some eight years until 1995. Sir Anthony attended the opening of the new chambers and we are proud that we were the first chambers in Australia to seek his permission to use his name. 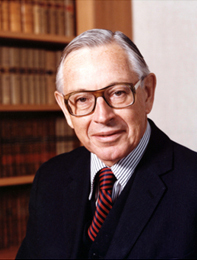 1972 to 1987 and Chief Justice from 1987 to 1995. President of the Solomon Islands Court of Appeal. In 1996-1997 he was Arthur Goodhart Professor in Legal Science at Cambridge University. has been a non-permanent Judge of the Hong Kong Court of Final Appeal since 1997. The present address of 201 Victoria Square is a building with historical significance. Its former life was as the head office of the Marine and Harbour’s Department and the building is still graced on its roof by a widow’s walk; historically placed near coasts where women could look out and wait for sailors overdue from sea voyages. The building was moved to its present site in 1979 by being placed on train tracks and hauling it 50 metres north then sitting it on new foundations. Photos of the incredible move are in the foyer of the present chambers. After 1979 the building was used as a solicitor’s office and a bank. It was completely refurbished in 2006 and has rooms for barristers on three floors and a pleasant outdoor courtyard. When the chambers moved to the new site more members were able to join the chambers. From an initial start of just three barristers in its former life Anthony Mason Chambers now has 13 barristers (including two silks) and with four women, has one of the highest percentages of women barristers of any South Australian Chambers. This prominent Victoria Square position is close to all superior courts and its members practice across a broad range of legal areas.